Moderate framed, big topped, deep ribbed 8050U donor out of the great 5139R donor cow. 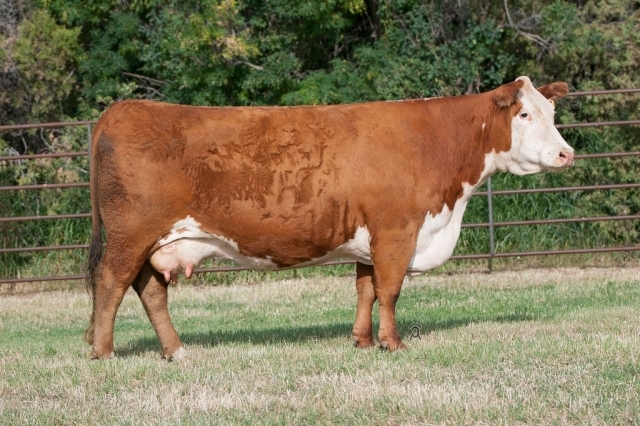 1263Y combines calving ease with eye appeal, pigment, and cow power. The 5345C bull that sold for $30,000 in our 2017 Sale to Dufur Herefords is a maternal grandson of 1263Y and was used in our herd last spring. Her son 7023E by the CL 1 Domino 420B bull willl be a sale feature for our March 2018 Sale.